Raise your hand if you love Anthropologie! They have got such fun stuff for home decor as well as gorgeous clothes! Sadly, our single-income budget doesn’t exactly have enough in it for me to go crazy in their store. Back in January, I was scoping out their website and fell in love with their ribbon heart dish towel. I had wanted to create my own knock-off version of that towel, but ran out of time. 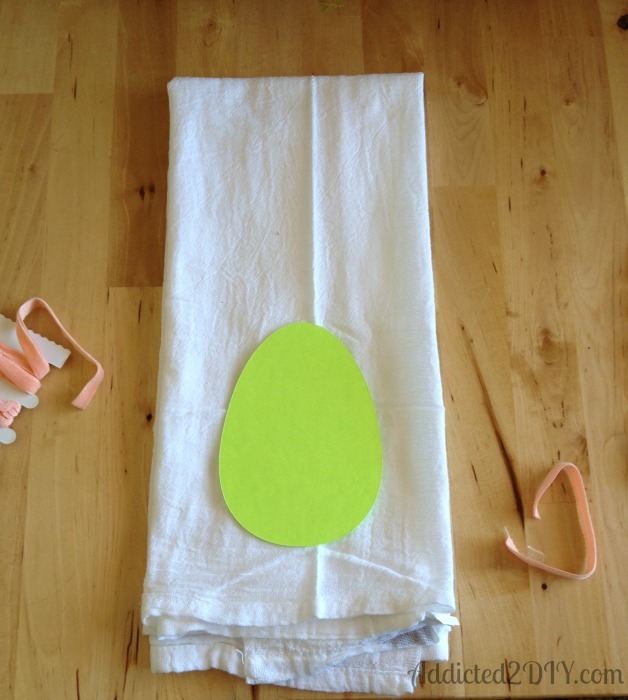 I knew I still loved the idea of a ribbon towel and thought it would be fun to create an Easter version. My favorite part was that it was easy to make and there was no sewing involved! A while back, I purchased some flour sack towels from Target. 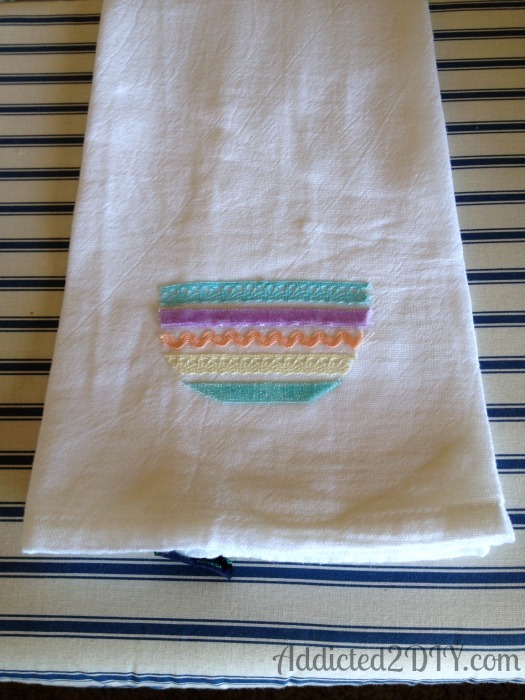 I used a few of them to make these DIY painted kitchen towels. These towels are perfect to add your own decorative touches to. Michael’s has their own little dollar+ section at the front of the store, and I found this cute ribbon there for $1.50 each. 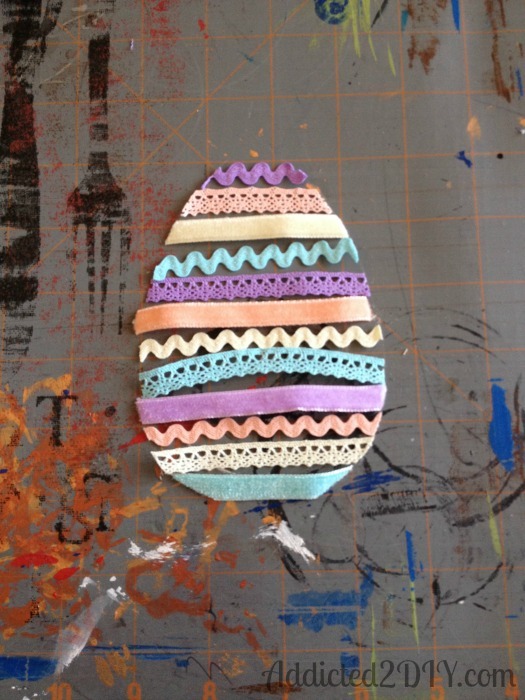 I grabbed a scrap piece of cardstock and cut 5″ tall egg shape out on my Cricut. If you don’t have a die cutting machine, you can always just print a shape and cut it out. I also ironed my towel prior to getting started. I cut my ribbon pieces out and placed them in a pattern I liked. 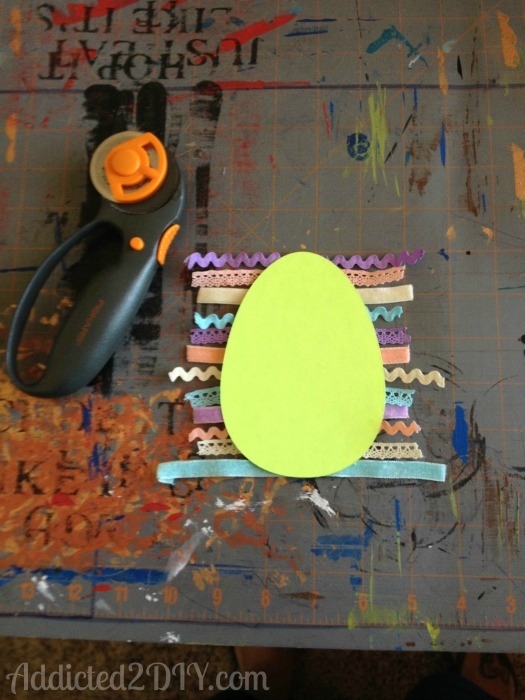 I set the egg on top of the pieces and used my rotary cutter to trace around the edge of the egg shape. Please ignore my used and abused cutting mat. I used 3/8″ Heat n Bond hem tape to attach the ribbon pieces to the towel. Now, if I was smart, I would have lined the hem pieces up under the ribbon pieces and cut them at the same time. However, I sometimes like to work harder instead of smarter, so I cut my pieces out after the fact. I worked in small sections and ironed the ribbon pieces to the towel. I used an extra towel to use between the ribbon and the iron. I held it down for about 15 seconds each time. After all of the pieces were attached, I held the iron over the entire piece again for 15 seconds. I love how it turned out and I’m definitely making more. 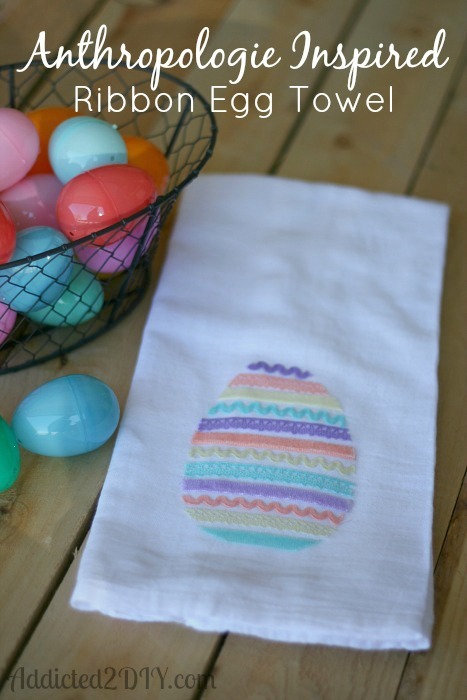 I’m thinking these will be perfect to line baskets for bread or biscuits for Easter brunch! Thanks so much for stopping by and please feel free to share, like, pin, etc! I’m so glad you stopped by my little Anthropologie project today as I was happy to discover your beautiful towel. I am going to try this. Your diy was so easy to understand. I need to purchase a rotary cutter. I love that we have the same PDC designers for our blogs, too as it’s fun to see how you use yours. I like the gray and white striped background! I’m subscribing! Thanks so much Dana for stopping by and your sweet comments! I’m subscribing to yours as well! I love that Dollar section at Michaels. You did a beautiful job with it. I think you could make it for any holiday and it would be great. Thanks Courtney! I agree. Some Christmas ribbon towels would be adorable! This is really cute Katie! I love little touches of Easter decor and this is perfect 🙂 Thanks for linking up at The Makers. This is just too cute! I love it, and I love using Heat N Bond! 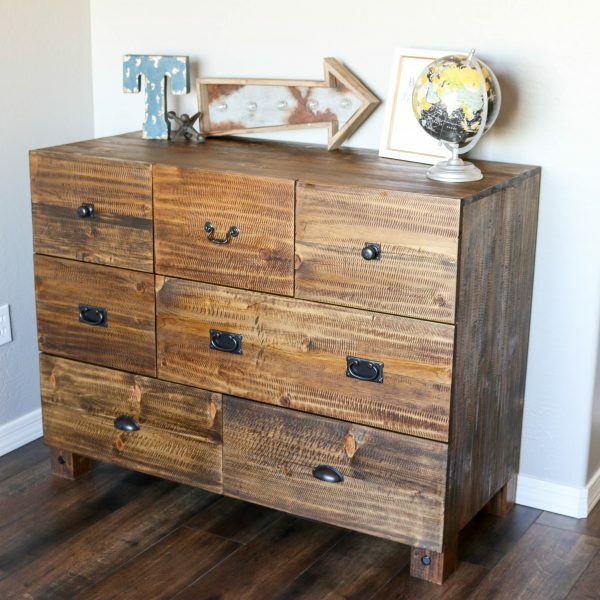 Nicole recently posted…Studio Calico Bluegrass Farm! I never even thought to look in the dollar section for ribbons. Those were awesome finds and they are perfect for this project. 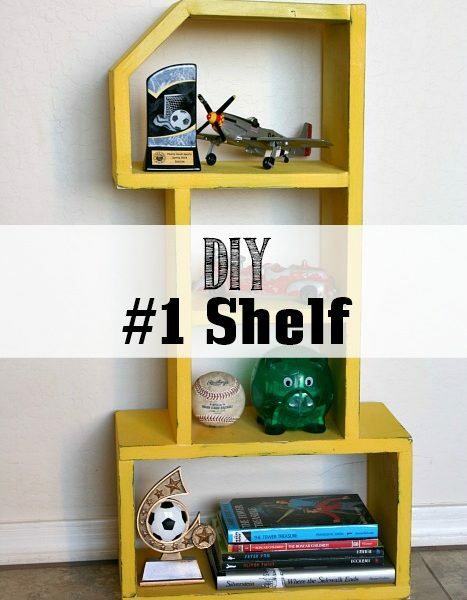 Super cute and would love to share it on my weekly roundup. Thank you so much Erlene! I’d love for you to share it! This is so cute! 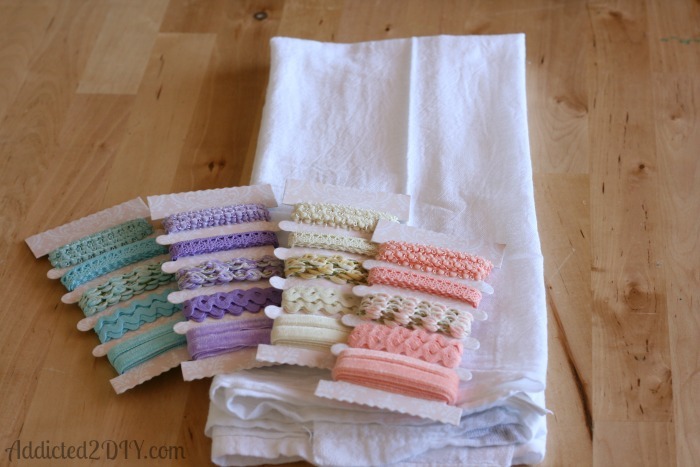 Would be a great way to use up scraps of trim, rickrack, etc which I always end up with and can’t bring myself to throw away. I would probably sew them on, though. Might not trust a bonding product for something which might have to be washed more than a few times. This is such a cute idea. I think I’ll make some myself. 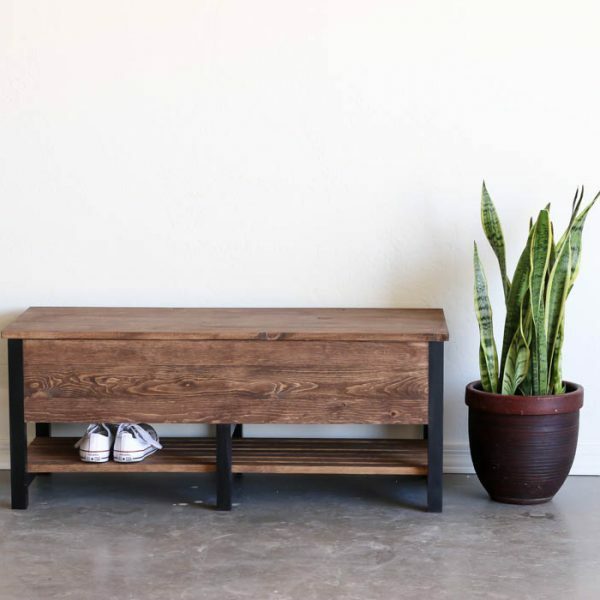 I just wanted to let you know that I am linking to this post on 4/1 at simply-creative-living.com if you don’t mind. Thank you Alyssa, and that is totally fine! I liked someone else’s comment on doing the same idea for Christmas – can’t wait! I’m excited to find other crafts here. I also love DIY; sadly i don’t have enough time to do all the projects i want. I made my towels today! 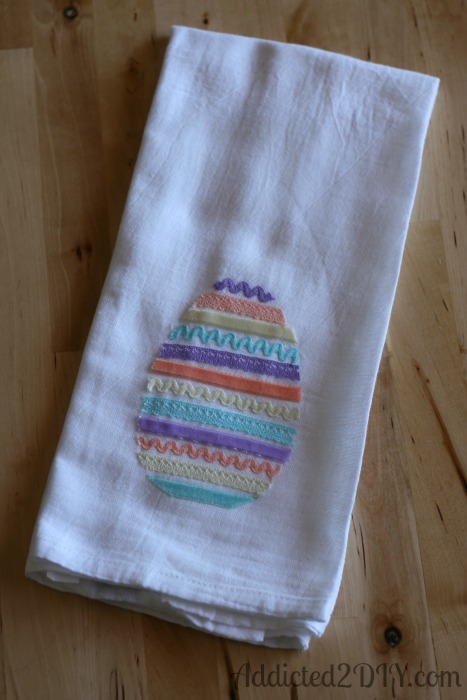 I wanted to share the results with you, if you have the time (http://saruthd.blogspot.com/2014/04/ribbon-egg-towel.html). I shared your tutorial in my blog. Thanks so much for sharing your idea! Ruth, your towels look so great! You totally made my night! I don’t usually get to see things people make from my tutorials. Thank you for sharing and have a great weekend! Super cute towel Katie! It looks amazing and you did a great job putting all the pieces together! 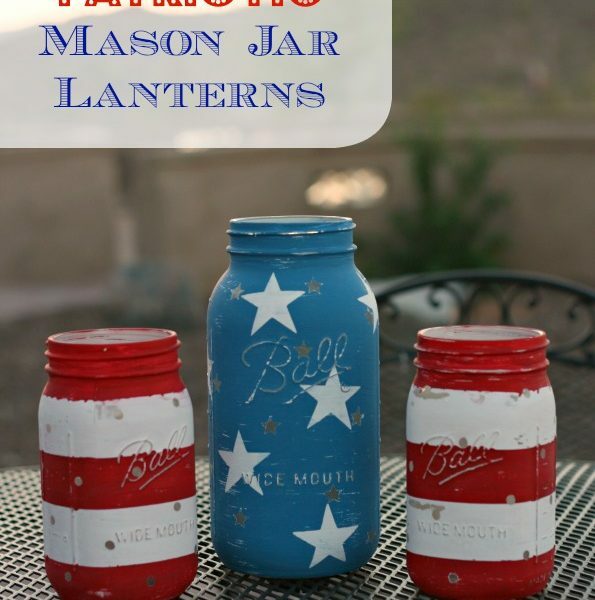 Thank you for linking up your Spring Project with us at Get Your DIY On. I hope you’ll join us May 4th with your flower projects! Hope you have a great Easter! Thank you, Mandy! Have a wonderful rest of your weekend!